Everyone has an opinion about gambling. It’s one of those unavoidable facts of life. Sociologists argue about it, economists argue about it, your parents probably argue about it! It really is a polarizing subject – but it needn’t be. 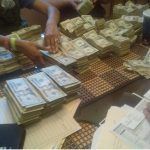 People like to bet, and will continue to do so whether it’s legal or not. 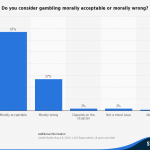 Illegal gambling is clearly a more harmful pastime than legal wagering. At least under the watchful eye of state regulation, casinos can be made fair and safe for the player, as well as bring in plenty of taxes, create local jobs and income for the state. This all adds up to a big boost to the economy. Illegalizing the activity creates criminals out of ordinary, hard working, men and women. The reason why this is even in debate, when the answer seems extraordinarily obvious to all of us (hint: no), is because a respected economist published a controversial paper going against the common consensus at the time. 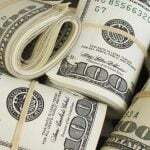 It claimed that as casinos simply trade money, rather than goods and services, there can be no stimulus to the economy. Doesn’t this sound like the conclusion of a person who has spent too long peering over heavy text books, testing out mathematical theorems that they can no longer step back enough to see the big picture? Casinos are obviously huge boosts to the economy. Where shall we begin? Look at the monarchy in England – they never make the country a penny by selling goods or services, yet the entire country pays taxes to them to keep them sustained and wealthy. Why? Because of the tourism they bring and because of the cultural values associated with them. People flock to experience the “full British experience”. While morally we may object to the monarchy, and while some are of the opinion that the tourism in England would be sustained even without paying outdated taxes, the truth is the royalty generate revenue beyond the envisaged reach. Newspapers writing about the latest royal baby, souvenir shops, online stores – anything that has anything to do with the latest news or traditional values of the monarchy benefits financially from their presence. In the same way, casinos pump new money into the area. They attract tourism from all over the world and create jobs for the local community. The money made by otherwise unemployed workers at the casino is then spent in local businesses. While you may not relish the idea of a casino being compared to the monarchy, you can see the parallels. People don’t just go to casinos to trade money – this form of empty trade would be what banks do. Even though banks were literally responsible for the economic crash, they are still legal and casinos get an unfair bad rap. People go to casinos not only to make wagers, but also to buy drinks, have expensive dinners, to stay in the local hotels. It’s often a full package holiday experience. They buy commemorative items and go shopping in the local malls their spare time. Then the majority of unlucky tourists lose their money in the casinos thanks to the house edge and more jobs can be created. Could This Be Harmful For Local Businesses? Some people legitimately claim that casinos hurt small businesses because casinos have now developed into fully contained complexes with their own hotels, restaurants and shopping malls. Instead of shopping at the local butchers or bakers people spend their money in the casinos and small businesses owners have to close down and get a job in Wal-Mart. This has absolutely nothing to do with the legalization of gambling, and more to do with the current state of the U.S and other countries overrun by big business. How many small, local businesses are left after Wal-Mart moves into town? Can you really blame casinos for the closure of small businesses? This is clearly an issue that needs regulating by the state, but it has nothing to do with gambling. In countries where gambling is legal, the online community thrives. 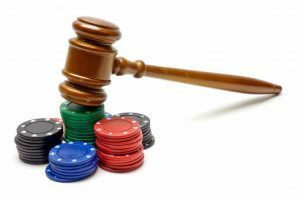 Due to the international standards of gambling, there are more regulations on the sites. Online casinos have to go through rigorous moderations and pass strict regulations in order for them to be accepted. This keeps the gameplay random, fair and un-exploitative. In places where gambling is illegal, as you can imagine, disreputable sites flourish. These online casinos are dangerous for their users, and end up swindling an enormous amount of untaxed money from their participants. Players log into the sites, thinking they are simply playing the usual fair and standardized games that the international casinos have to offer. Instead they get ripped off and taken for a ride, and often times their credit card details are illegally sold. At least with legal gambling, online punters can be sure that the sites have passed through government standards and that their personal details remain private and secure. Until the laws catch up, punters will have to rely on legal international casinos, meaning their money is directed outside of the local economy. 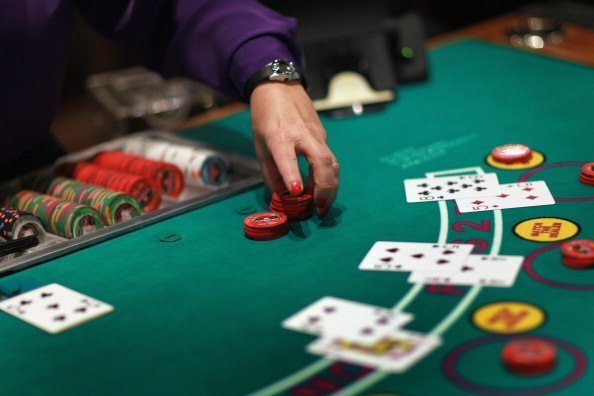 Gambling Addiction – Should This Stop Legalization? Of course, it’s a complicated and sensitive subject – small numbers of the population suffer from problem gambling or addiction. Afflicted individuals compulsively gamble, often to the point where their personal and professional lives are severely affected. 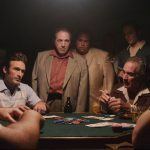 Unfortunately, where there’s gaming there will always be problem gambling – just like where there’s alcohol there will always be alcoholics, and where there are shopping malls there will always be kleptomaniacs. Problem gaming can lead to an increase in crime, when the addicts turn to stealing to fund their habit. However, when has making something illegal ever stopped anyone with an addiction? The most logical way to help those suffering is to legalize the activity, so that people with gambling addictions don’t slip through the cracks in our society. With legalized gambling comes the increased responsibility of the state and the community to help and support individuals who suffer with this destructive disease. People who struggle with gambling are also likely to be struggling in other areas of their lives and may need counseling and dedicated support groups to help them through life without their crutch. Shunning them from society is only going to be brushing the problem under the rug, at some point it’s going to have to be confronted. It’s evident that gambling is an entertaining, and mostly harmless activity with plenty of benefits for the economy, society and the player. In countries and states where gambling is illegal, the individual suffers from lack of adequate gambling addiction support and is also more vulnerable to fraud in online casinos. Legalizing gambling protects the citizens, and creates a fun, social and best of all, a safe environment for people to play in.